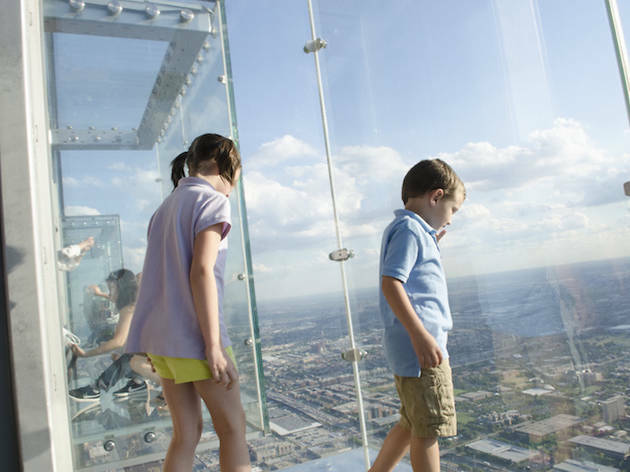 We revisit the Chicago institution at the top of the nation’s tallest building, and take a walk on the glass-bottomed Ledge. 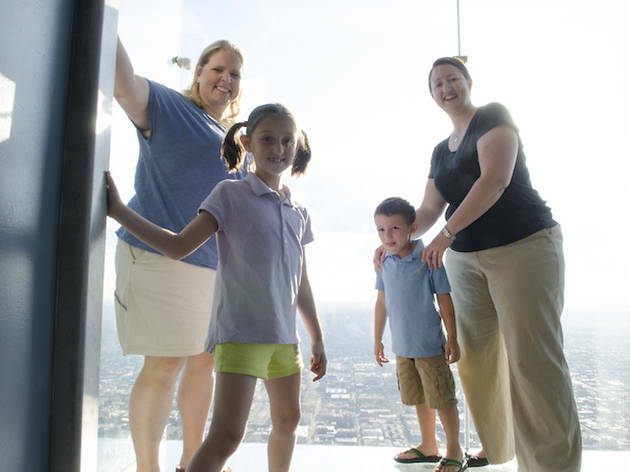 Photograph: Matthew BowieThe Stewart-Woolery family stands outside of the Willis Tower, getting ready to ride the elevator up to the Skydeck on the 103rd floor. 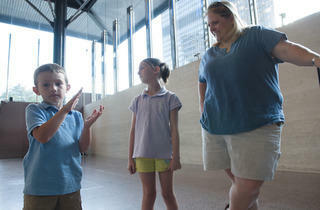 Photograph: Matthew BowieThe Stewart-Woolery family waits in the first lobby at the Willis Tower. 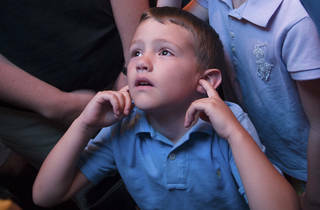 Photograph: Matthew BowieParker Stewart-Woolery holds his ears as the elevator zooms up 103 floors to the Willis Tower Skydeck. 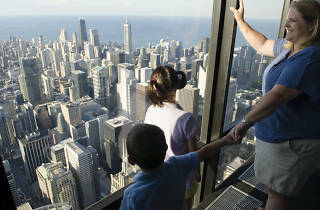 Photograph: Matthew BowieThe Stewart-Woolery family visits the Willis Tower Skydeck. 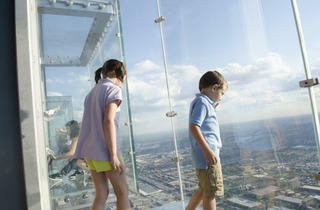 Photograph: Matthew BowieGraysen and Parker Stewart-Woolery step out onto The Ledge at the Willis Tower. 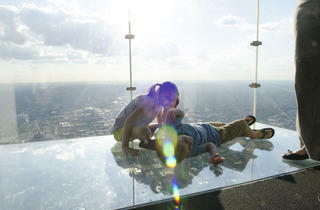 Photograph: Matthew BowieGraysen and Parker Stewart-Woolery enjoy the view from The Ledge at the Willis Tower. 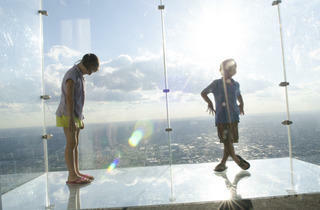 Photograph: Matthew BowieThe Stewart-Woolery family poses on The Ledge at the Willis Tower. 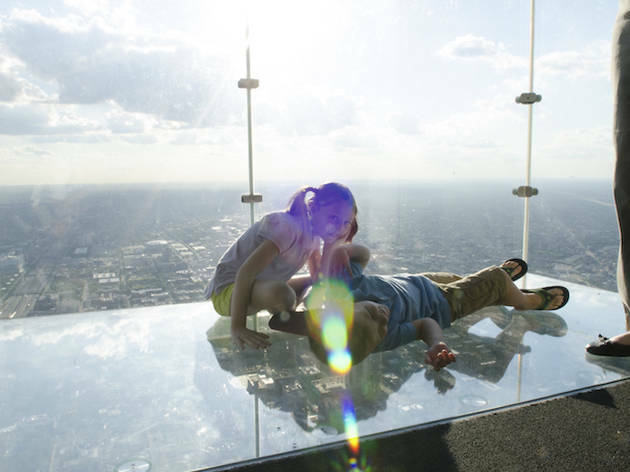 Photograph: Matthew BowieGraysen and Parker Stewart-Woolery frolic on The Ledge at the Willis Tower. 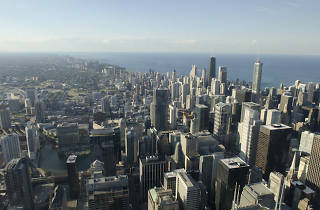 Photo: Matthew BowieOne of the iconic views of the Chicago skyline from the Willis Tower Skydeck. 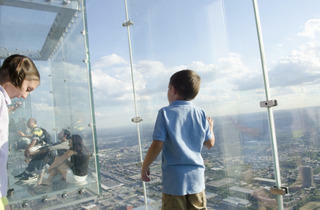 Photo: Matthew BowieGraysen Stewart-Woolery enjoys the view from the Willis Tower Skydeck. 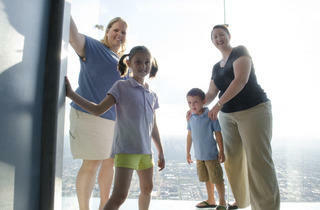 Photo: Matthew BowieThe Stewart-Woolery family visits the Willis Tower Skydeck. Everyone knows it takes a big event to get a third-grade girl and her little brother to hug. 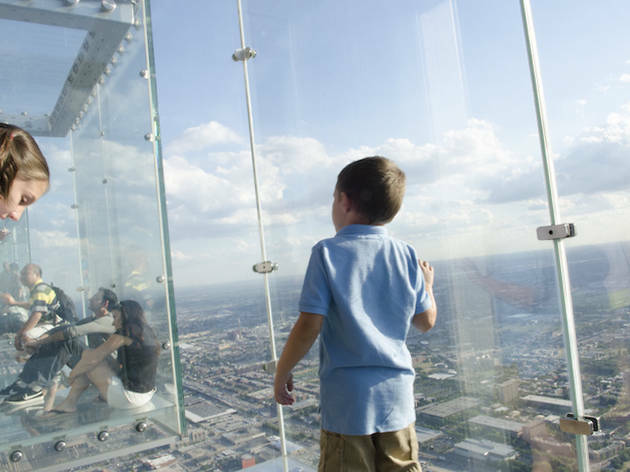 But it doesn’t get much bigger than skyrocketing up 103 floors in a zippy elevator to the top of the Willis Tower. 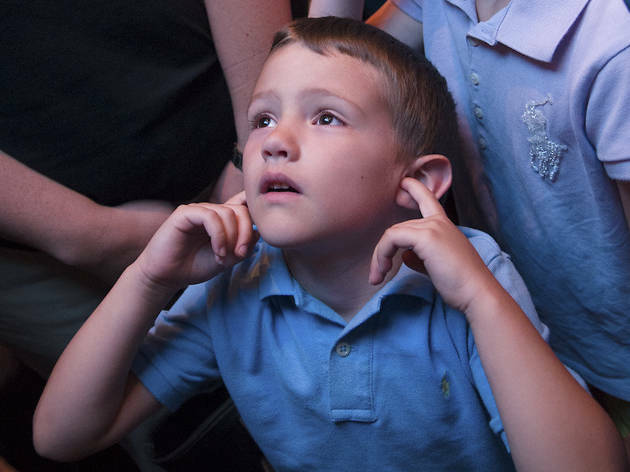 “Here we goooo!” exclaims five-year-old Parker Stewart-Woolery as the elevator doors close. 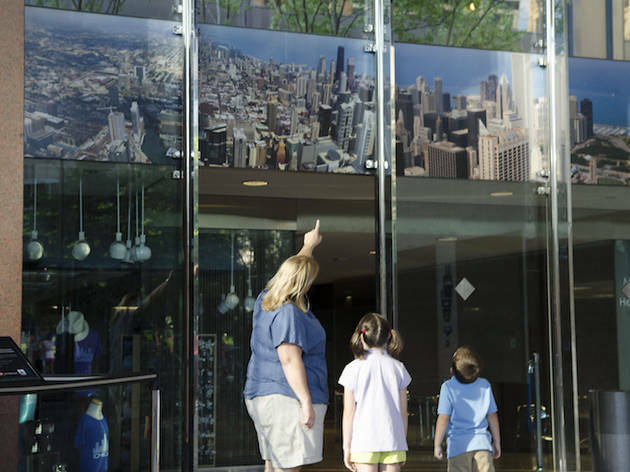 Although there’s plenty to look at on the interior walls up here—they’re plastered with Chicago history, including a set of “Knee-High Chicago” facts tailored for kids—the real action is at the windows. 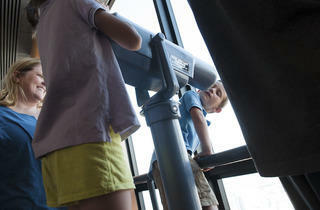 Graysen and Parker hustle over to the glass, where they’re soon taking turns on the telescope viewers (50 cents a pop). 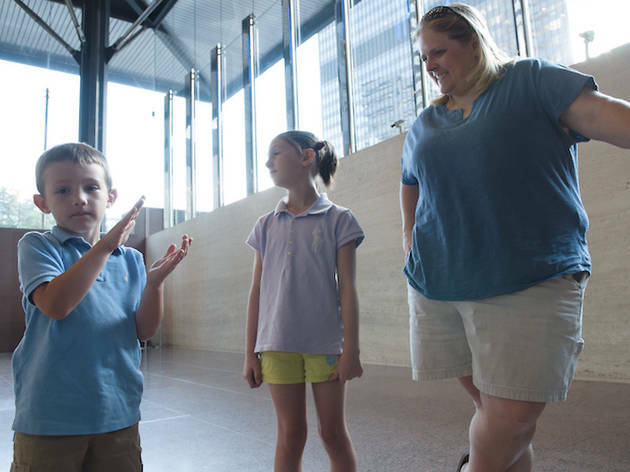 It’s the first time at the top for three-quarters of the Berwyn family. 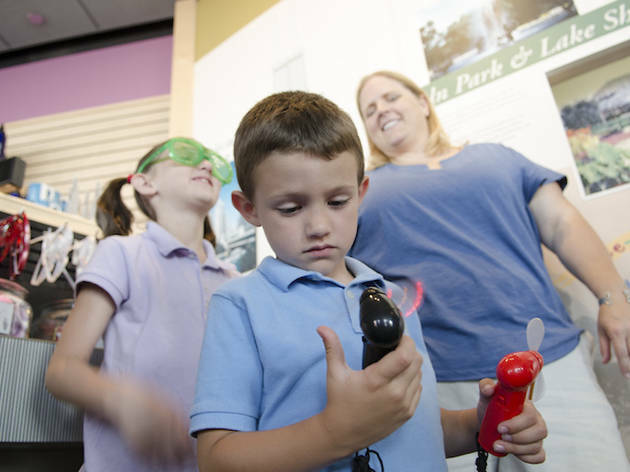 Woolery grew up in southern Illinois, where her childhood’s big vertical adventure was a trip up the St. Louis Gateway Arch. 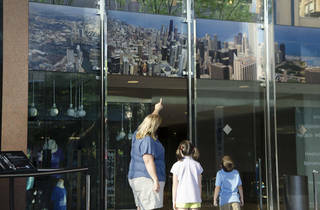 But Stewart visited the top of the building she still calls “the Sears Tower” when she was about ten. 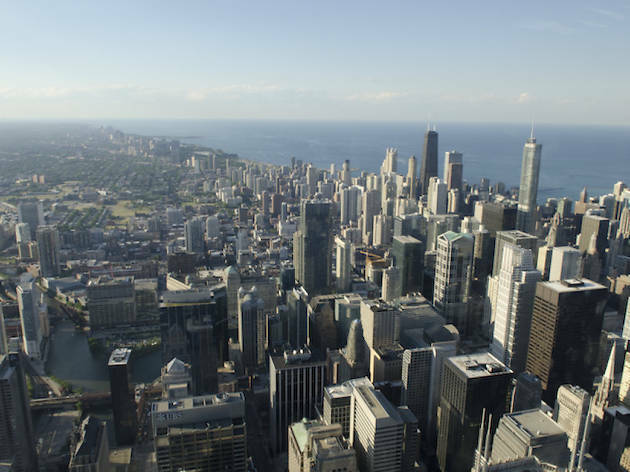 “I almost feel bad for the guy named Willis, but it’s always going to be the Sears Tower,” she says. 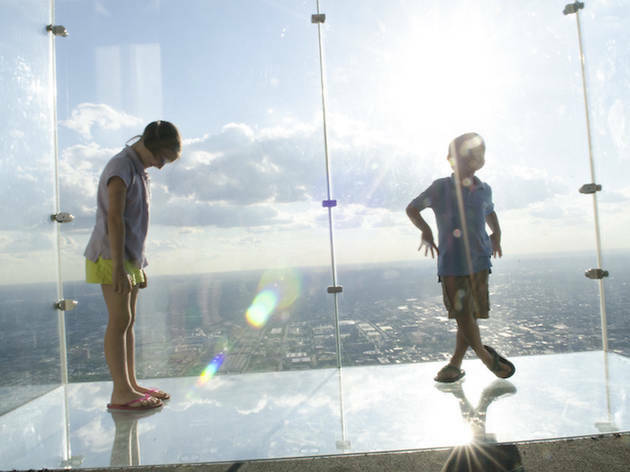 Of course, that’s all a footnote to the tower’s newest claim to fame: the Ledge. Four of them, to be precise—glass boxes, facing west, suspended from the side of the 103rd floor that provide an extra-stunning view. 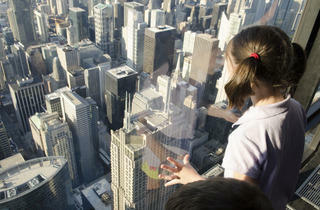 It’s extra-daunting, too, because you can look straight down to Wacker Drive, 1,353 feet below. 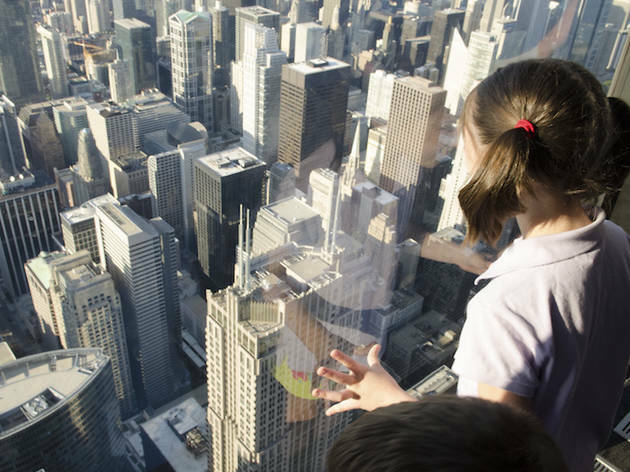 Skydeck employees are accustomed to assuring people that the Ledge, installed in 2009, is safe, but logic doesn’t stop some people from freaking out. But these two kids are fearless. Parker runs right to the glass and presses his body against it. Graysen’s right behind him. Parker lays down, then looks through the transparent floor to the street below. “Will I fall down?” he asks his moms. They assure him he won’t, though they themselves put on brave faces for the unparalleled photo op the Ledge provides. “I’m a rational person,” Woolery says. “I know it’s safe. But then you stand here and…” Her voice trails off as she gazes downward. “They just ran right out there, but can’t I help [think], Is it really going to hold me?” Stewart says. 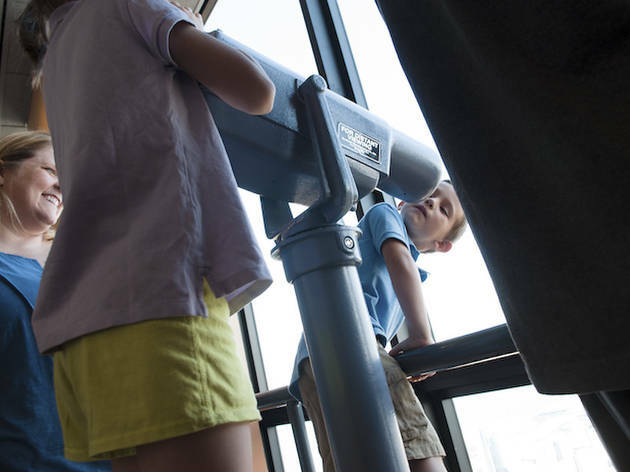 Later, peering out from more conventional windows, the kids squeal with delight to find two big spiders on the outside of the glass, spinning webs at this incredible height. And Graysen marvels at rooftop gardens while Parker counts boats in Lake Michigan. 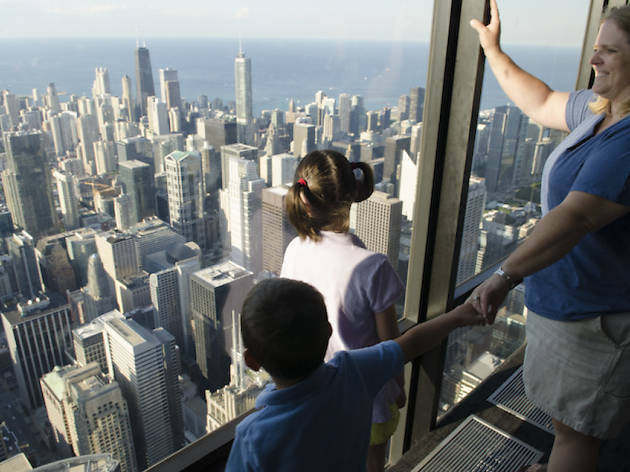 Shoot to the top of the Willis Tower (233 S Wacker Dr, enter on Jackson Blvd at Franklin St; theskydeck.com), open 365 days a year. 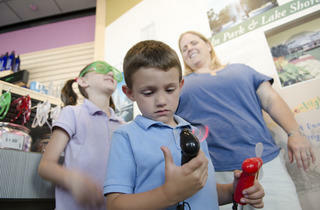 $17.50, ages 3–11 $11.